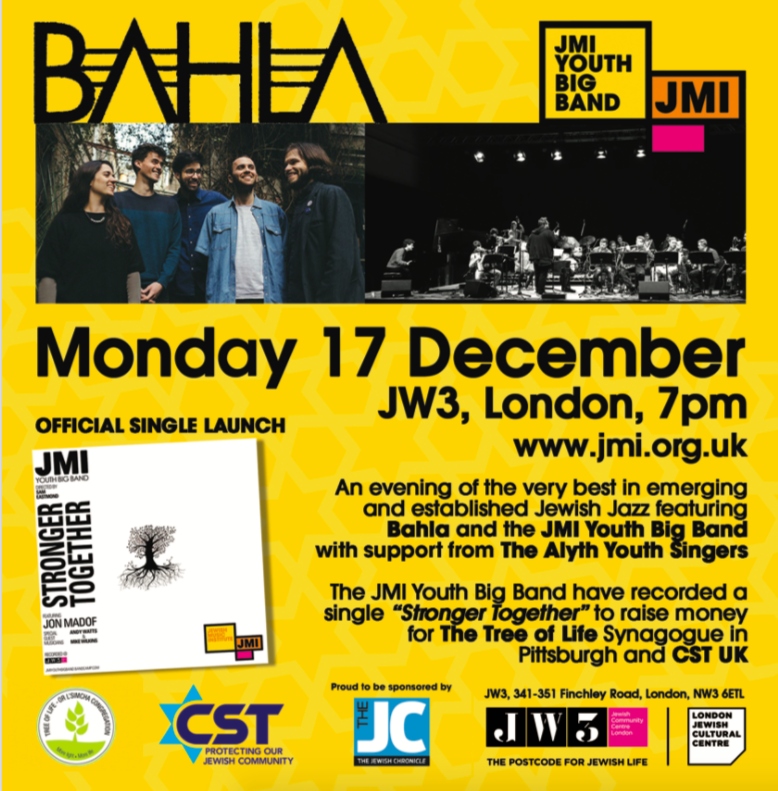 The JMI Youth Big Band, directed by Sam Eastmond (Tzadik Label) recorded a new single “Stronger Together” in the wake of the Squirrel Hill Pittsburgh Synagogue massacre. This music is the band member’s defiant response to hate. We are stronger together, we are stronger than hate. The recording features Jon Madof, Andy Watts and Michael Wilkins. 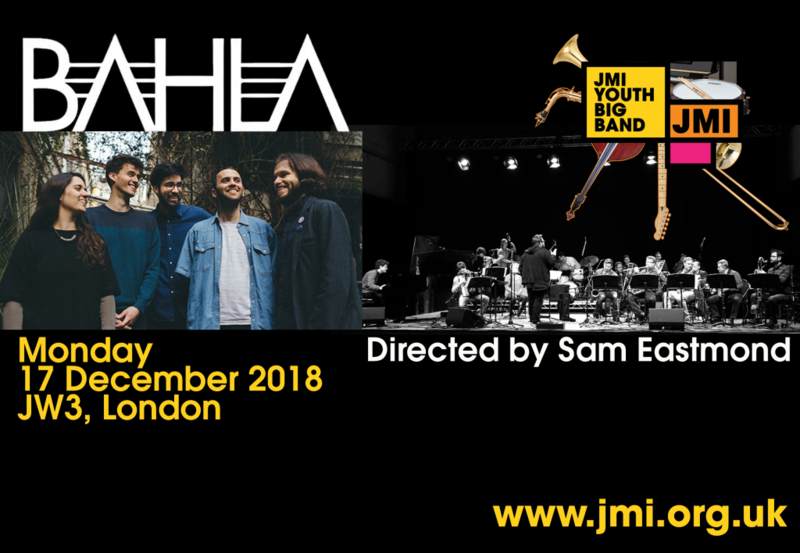 This single will be launched officially at JW3 on Monday 17 December.